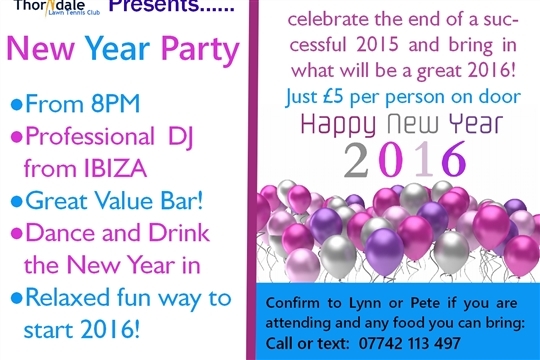 We have a New Years Eve party this year with a briliant DJ booked. Just £5 entry on the night for a cheap new year with no QUEUES at the bar! Great music and laughter with friends! Party in the New Year for less at Thorndale!